If you asked us who was our favourite cruise line and where was our favourite cruise destination you would be shocked to hear but it would be Disney Cruises and a cruise to Alaska. 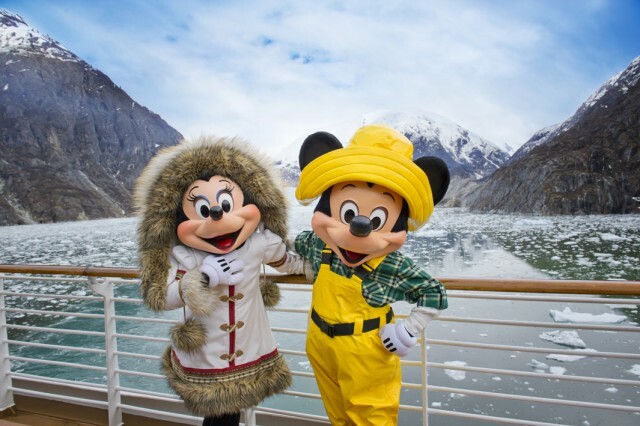 In our opinion no one does it better than Disney Cruises and there is no better place in the world to cruise than Alaska. Disney Cruises are not the cheapest of the cruise lines but there cruises to Alaska offer exceptional value for money. We feel Disney offer some of the best food and no one does entertainment better than Disney. There exclusive Broadway Shows are as good if not better than what you pay 100's of dollars for at Broadway. There are many misconceptions about Disney Cruises, like arent they going to be rammed with kids and I dont want to keep seeing Disney Characters everywhere. A Disney cruise is very understated, there are areas of the ship which is adults only. Character sightings are pre planned so if you want to avoid them just check the planner. However many adults would like to see Alaska but put off about taking the children. The Disney kids club is the best out there so take the kids along as they will have a blast.